The fourth generation 2019 Mazda3 has made its world premiere at the Los Angeles Auto Show. Here’s a visual comparison of the two generations. The 2019 Mazda3 stays true to the 'Kai' Concept from the 2017 Tokyo Motor Show. 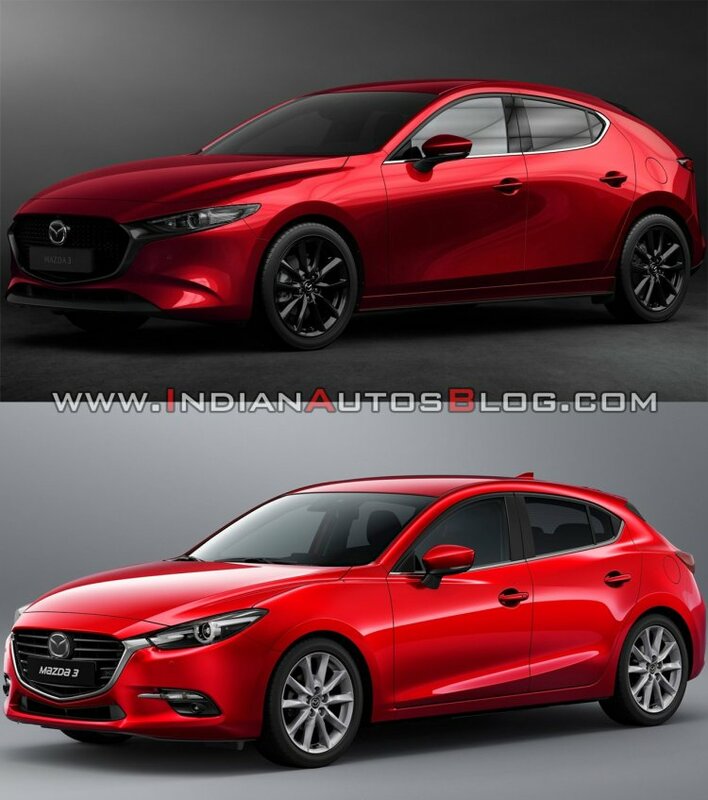 The 2019 Mazda3 stays true to the Mazda Kai Concept from the 2017 Tokyo Motor Show. It features an evolutionary design the result of which is a richer and more powerful expression of vitality than previous Kodo models. Once again, the compact car family comprises a hatchback and a sedan. The hatchback evokes a sense of excitement, while the sedan captivates with its clean and sophisticated appearance. One of the elements key to the matured Kodo design language is the new lighting setup. In keeping with the ‘less is more’ theme, designers got rid of unnecessary elements to leave only the light source, lens and base. For the interior too, Mazda’s Takumi craftsmen have taken a minimalist approach. Two vertical air vents bracket the instrument panel, while sleeker, three air vents are present on the passenger side of the dashboard. The central air vents are gone, giving a cleaner design to the centre console where there’s a new climate control panel, which appears to have a reduced footprint. In place of the 7-inch touchscreen infotainment system, there’s an 8.8-inch unit. 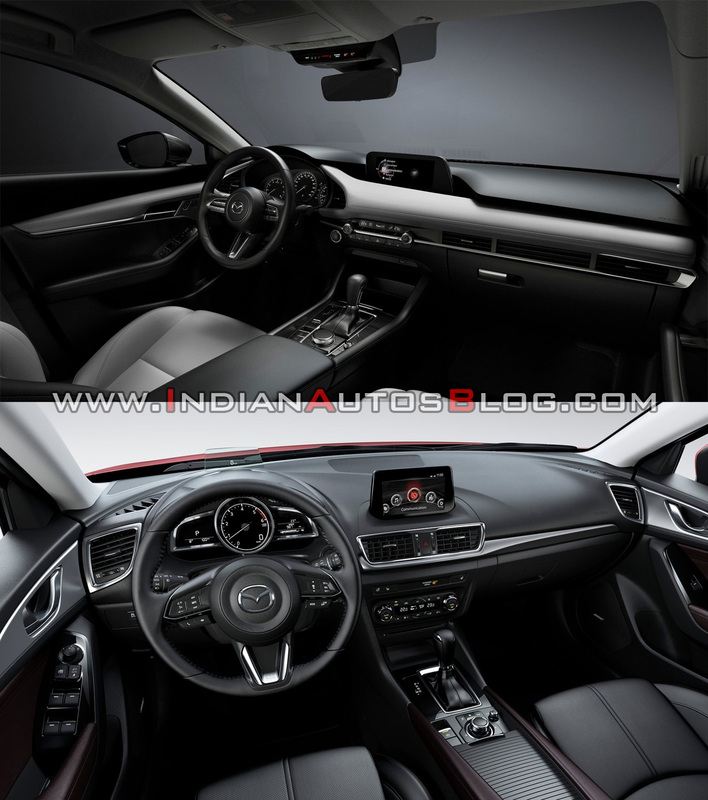 The 'less is more' ideal is at the core of Mazda's more matured Kodo design language, and it's clearly evident in the all-new Mazda3 interior. The 2019 Mazda3 is the company’s first production car to feature the innovative Skyactiv-X SPCCI (Spark Plug Controlled Compression Ignition) engine. This engine is assisted by the new M Hybrid mild-hybrid system. The M Hybrid system is available for the Skyactiv-G engines as well, which come in 1.5- and 2.0-litre displacements in Europe. There’s the 1.8-litre Skyactiv-D diesel engine option also for the customers in the Old Continent. The i-Activ AWD system, which works in harmony with G-Vectoring Control Plus (GVC Plus), now features ‘four-wheel drive vertical load’ detection. The all-new Mazda3 will go on sale in early 2019. North America will get the fourth generation car first.